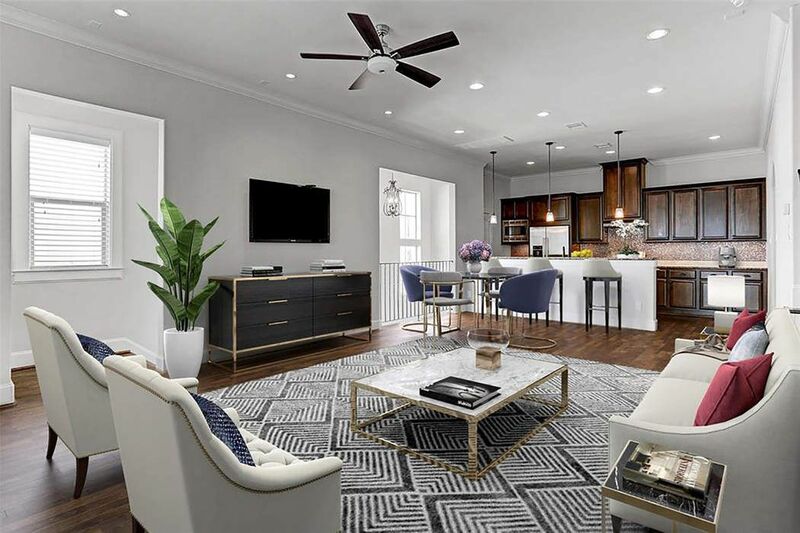 1112 Peveto Street Unit B, Houston, TX 77019 | Martha Turner Sotheby's International Realty, Inc. 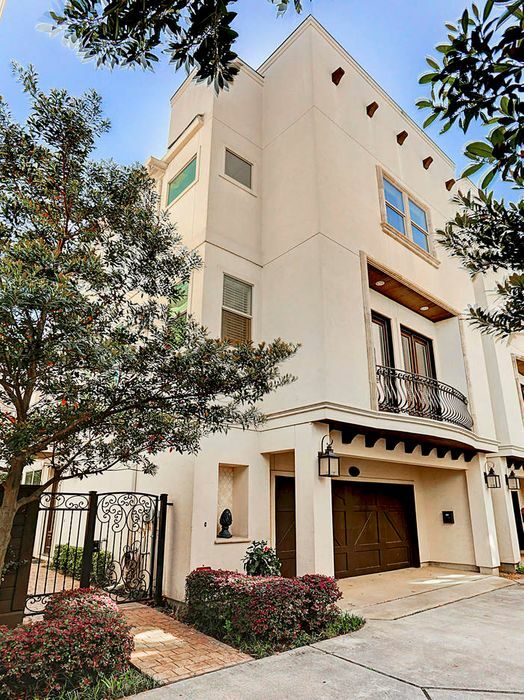 This lovely three story free standing Montrose town home is flanked by a gated patio area and features three bedrooms and three and a half bathrooms. This is the view of the Tricon built complex looking from Peveto. Note the lush landscaping and gorgeous Mediterranean exterior. Staged photo of family room looking into the kitchen area. 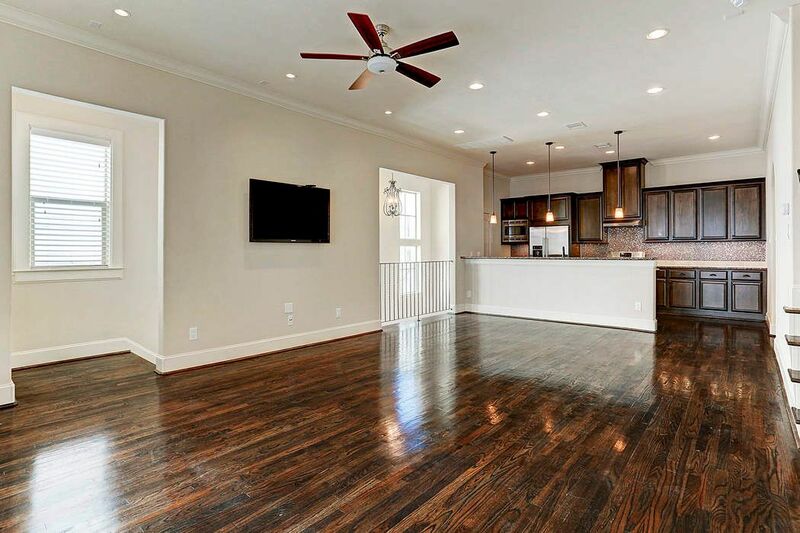 The second floor features an expansive area with room for watching the television, dining and counter seating at the kitchen. The granite bar at the kitchen can easily fit four stools and is a great place for guests to hang out while dinner is prepared. 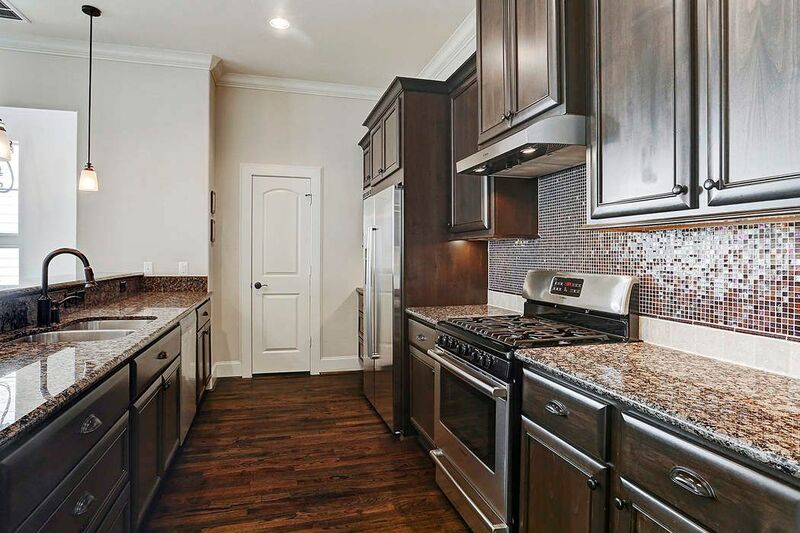 The kitchen features all stainless steel Bosch appliances and includes the refrigerator. The walk in pantry is located behind the door in the center of the photo. 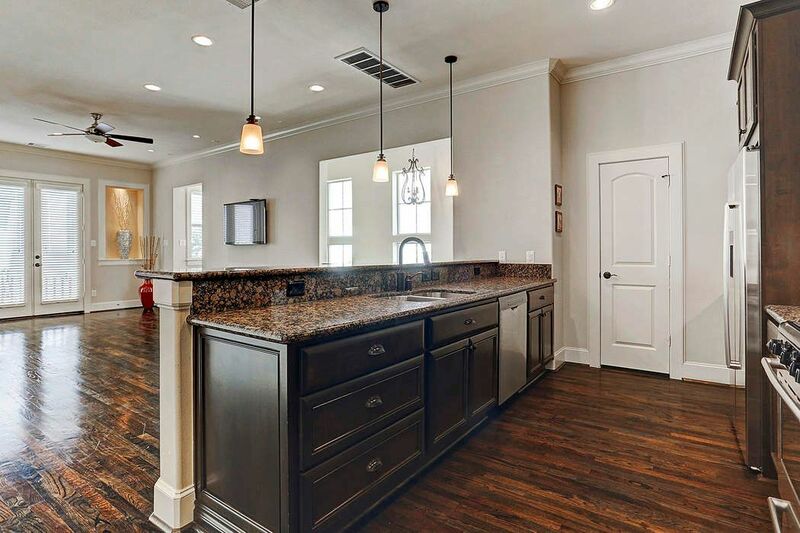 Plenty of storage in this kitchen and a view into the great room makes entertaining guests easy. 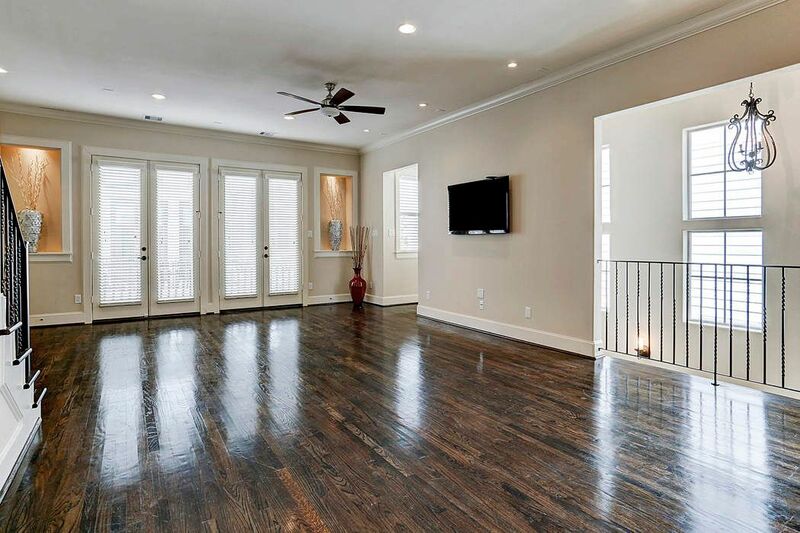 Tons of natural light fills the space with solid wood floors throughout this level and double French doors leading to the balcony. A view from the balcony looking towards Peveto street . 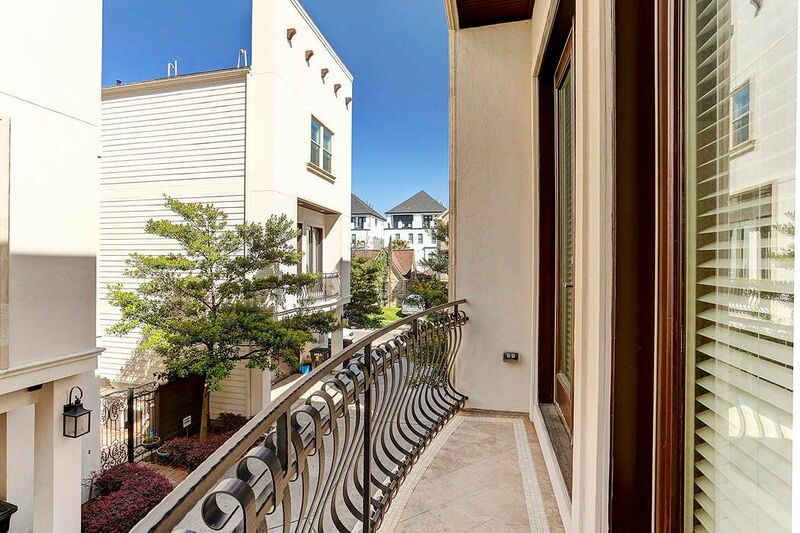 Note the lit art nooks on either side of the French doors and the wrought iron stair rail leading to the third floor. 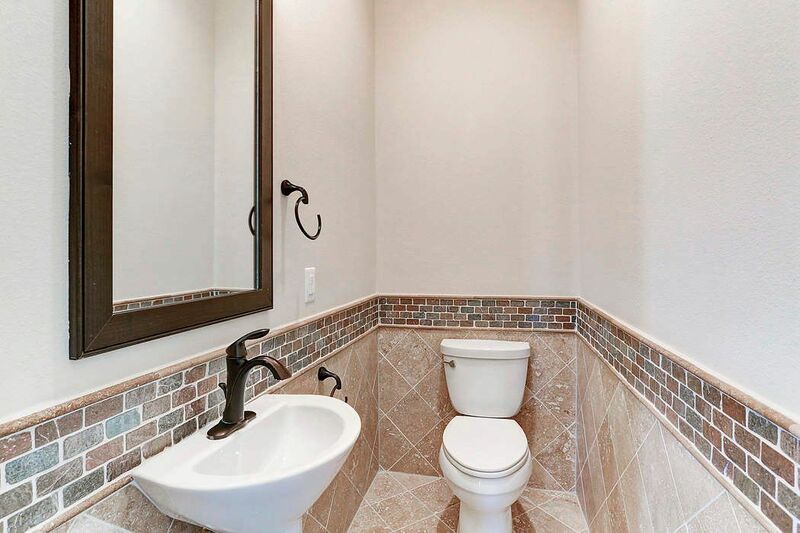 This half bathroom is conveniently located near the kitchen on the second floor and serves guests. 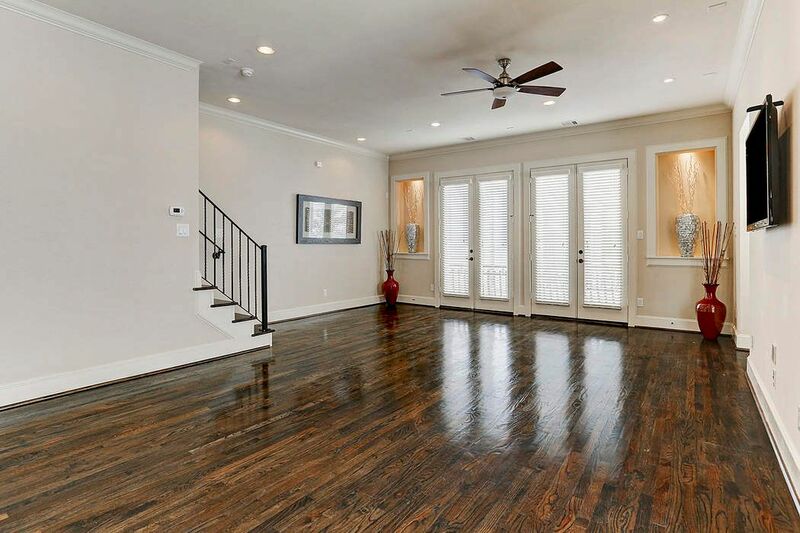 The view of the second level as you enter from the stairs shows the abundant light and rich wood floors. Staged photo of the lovely master bedroom with ample room for a king sized bed and more. 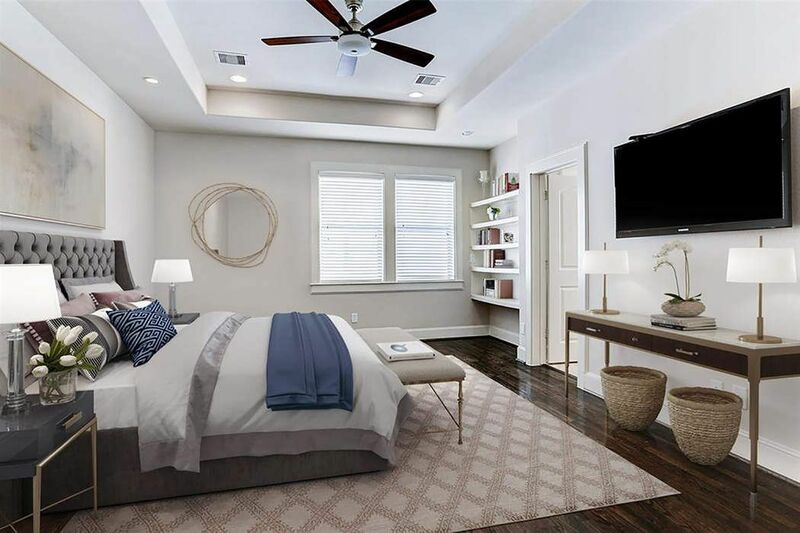 The master bedroom features a trey ceiling, recessed lighting and easily accommodates a king size bed and has built in bookshelves for convenience. Another view of the master bedroom with the entrance to the master bathroom on the right. 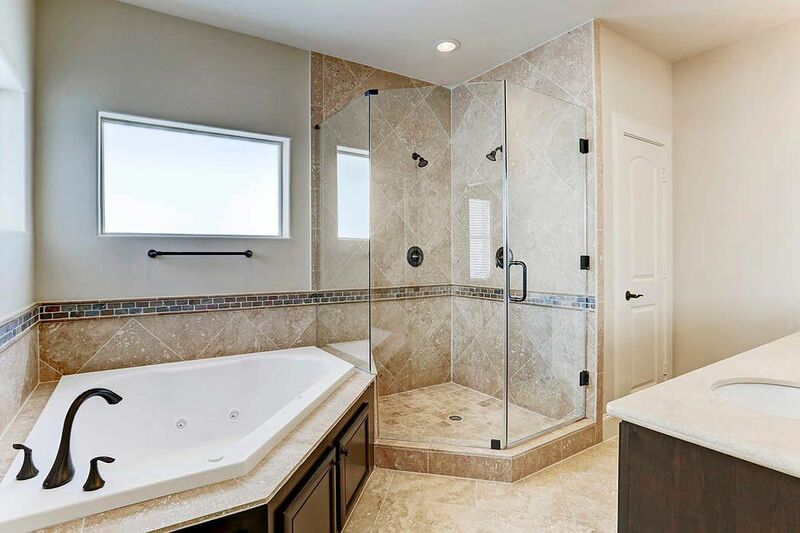 The large master bathroom has a separate jetted tub and glass enclosed shower and a window for ample natural light. 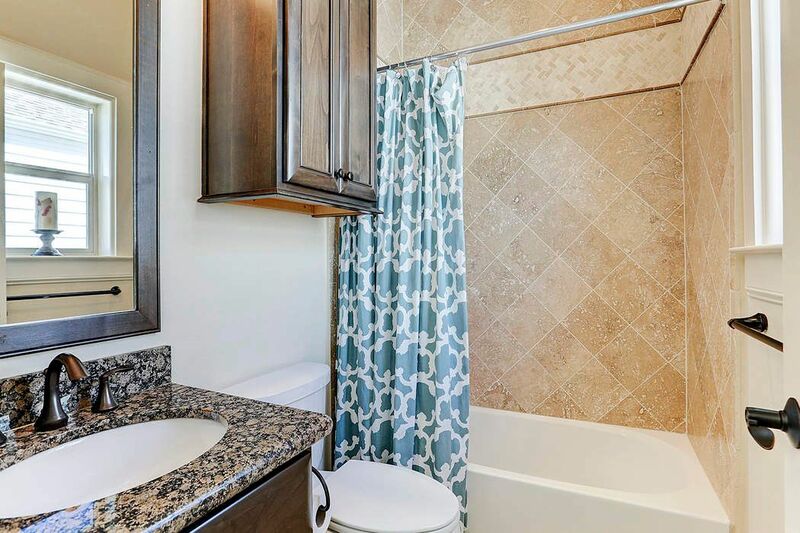 The master bathroom has dual sinks and a separate water closet as well as a walk in linen closet. 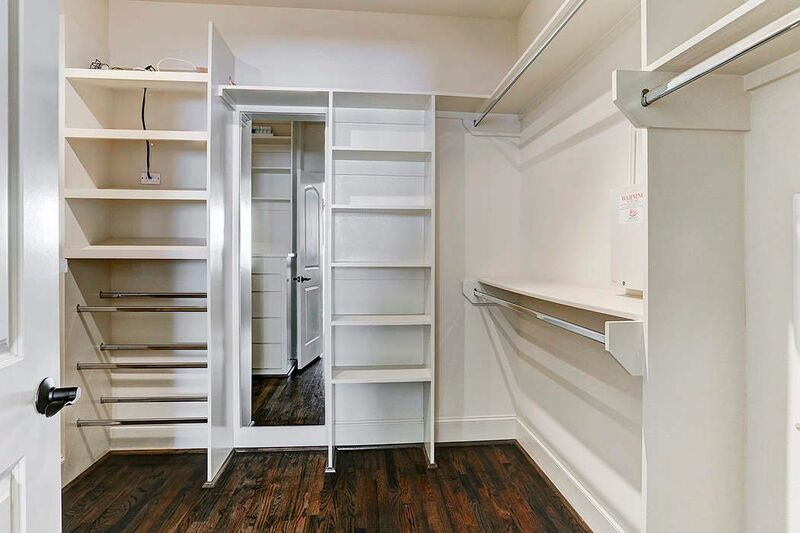 The master closet is walk in and has abundant storage. 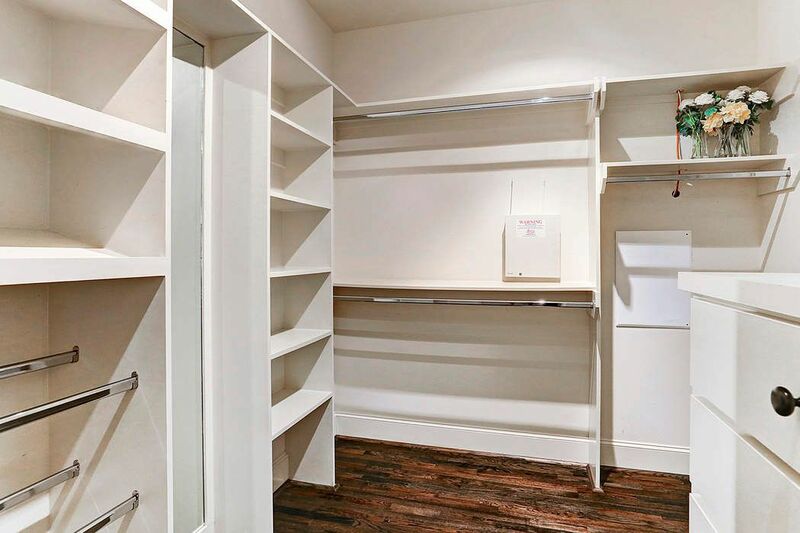 The master closet also features upgraded stainless steel clothing rods and custom drawers and shelving. This secondary bedroom is located on the same floor as the master bedroom and has an en suite private bathroom with tub and shower. 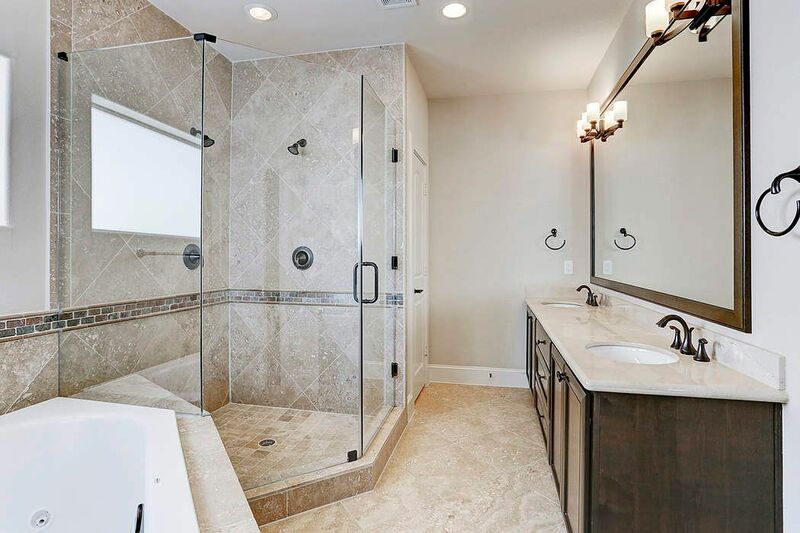 This en suite secondary bathroom has a granite counter and extra cabinetry for storage. 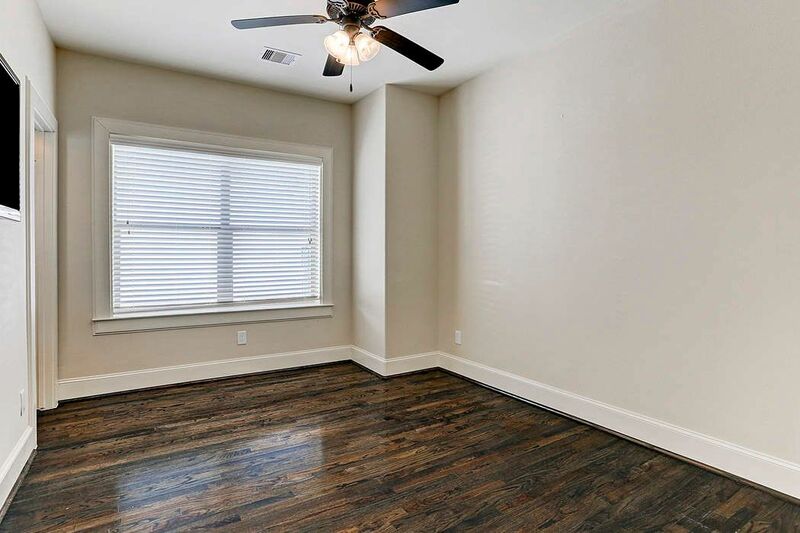 This first floor bedroom features solid wood floors and its own full bathroom and could also be a great at home office space or private guest room. 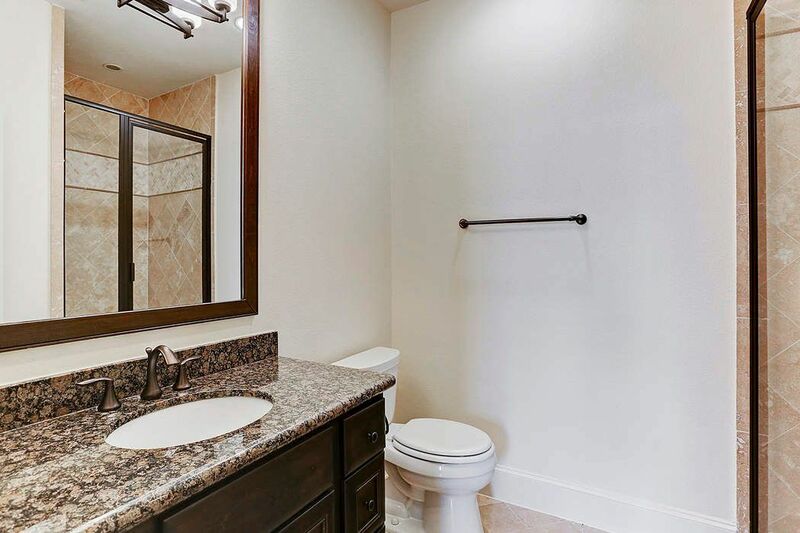 The first floor en suite bathroom also has granite counters and a glass enclosed shower. Staged photo of patio area with room for seating and a grill. A lovely place to unwind! 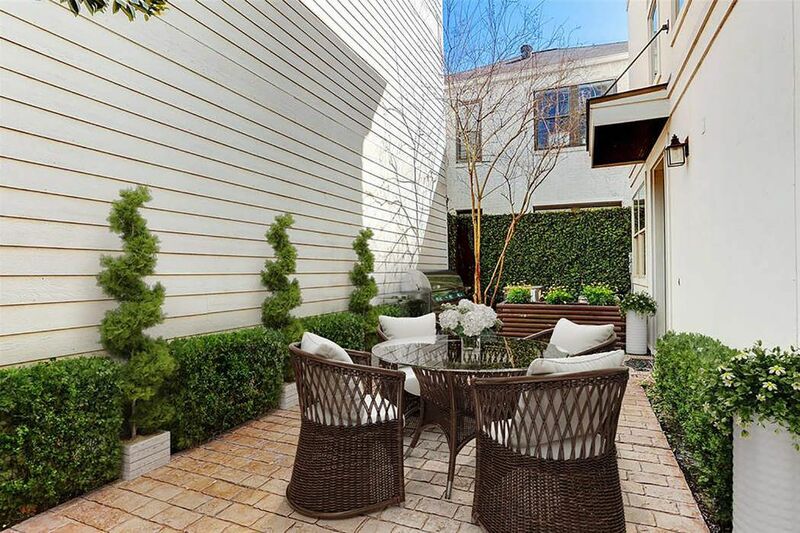 This delightful side patio is gated for privacy and is the perfect spot to unwind at the end of a day. There is also space to add grass for your four legged friend. A gorgeous exterior on a fantastic home. This home is a must see. 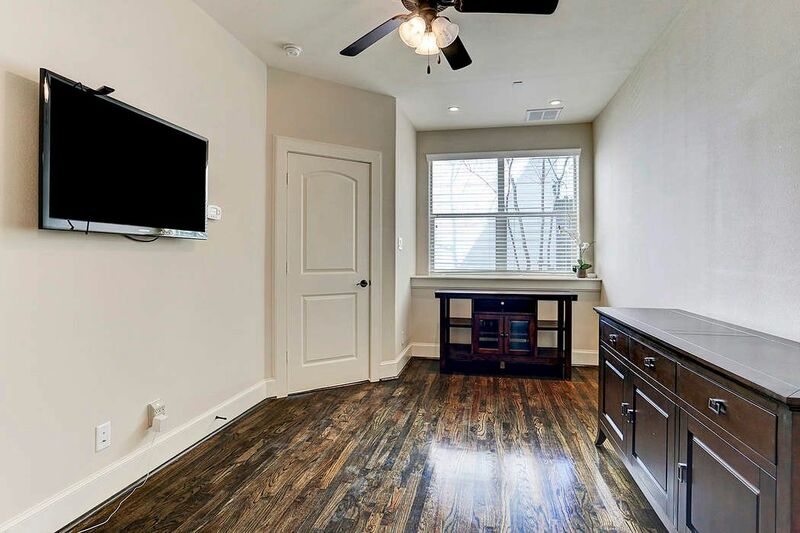 $519,000 3 Bedrooms3 Full / 1 Partial Baths2,346 sq. 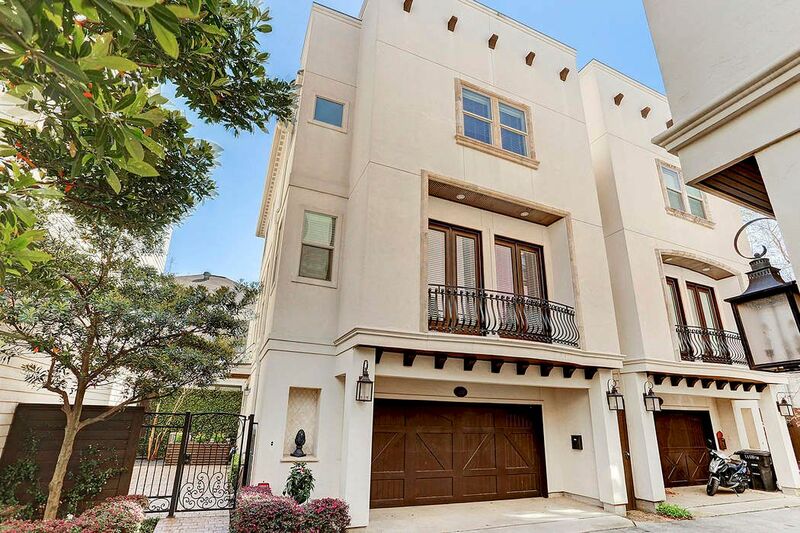 ft.
Beautiful Mediterranean home built by Tricon in the heart of Montrose. 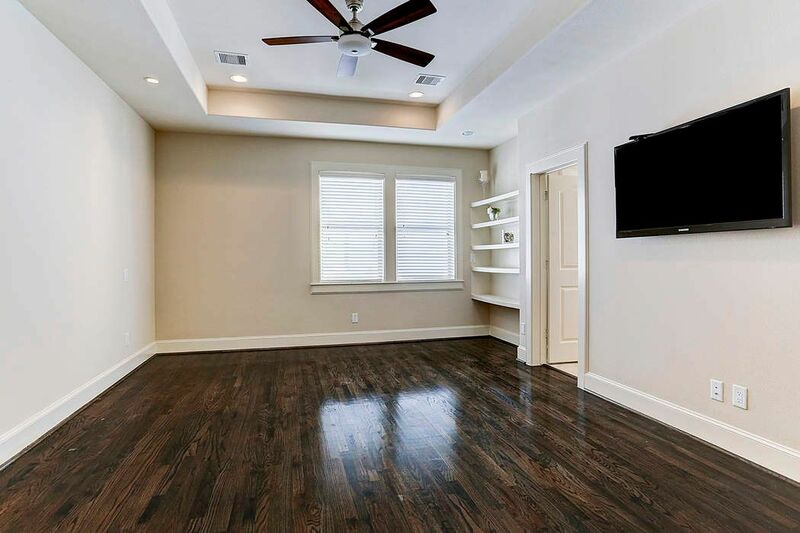 This home has it all: granite counters, solid wood floors, all Bosch stainless steel appliances and the refrigerator is included with the home. 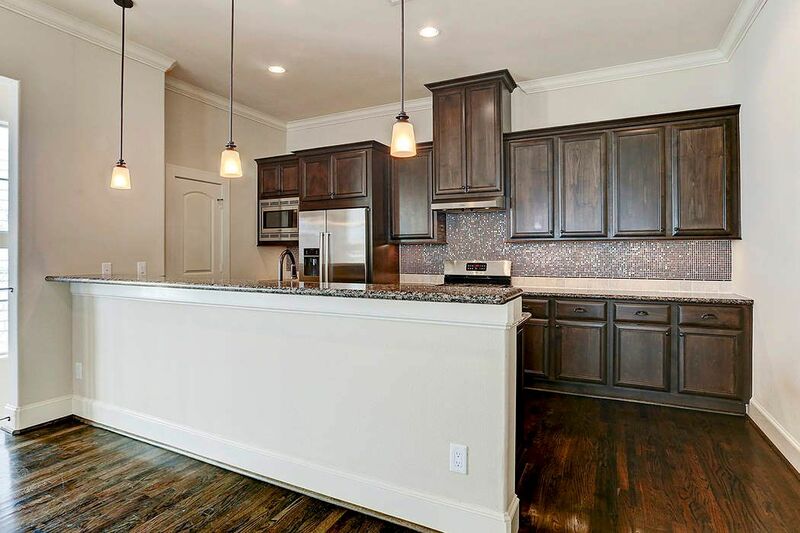 There is under counter lighting throughout the kitchen and an outside patio with room for a grill, table and chairs. 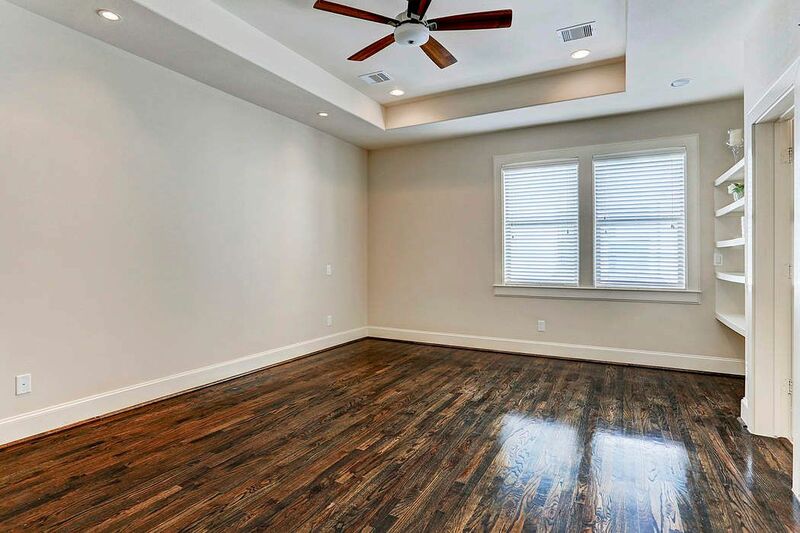 The home boasts a separate tub and shower in the master bath, multiple closets for storage, a two car garage and no HOA. Walk half a block to Whole Foods grocery store to pick up dinner, two blocks to Buffalo Bayou Park for a run or to walk the dog. 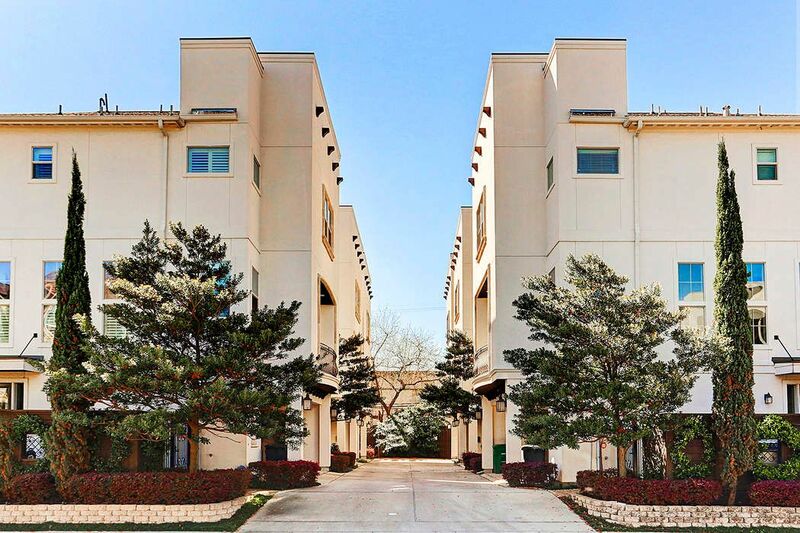 Highland Village is also just two blocks away and the home is a short ten minute commute downtown. 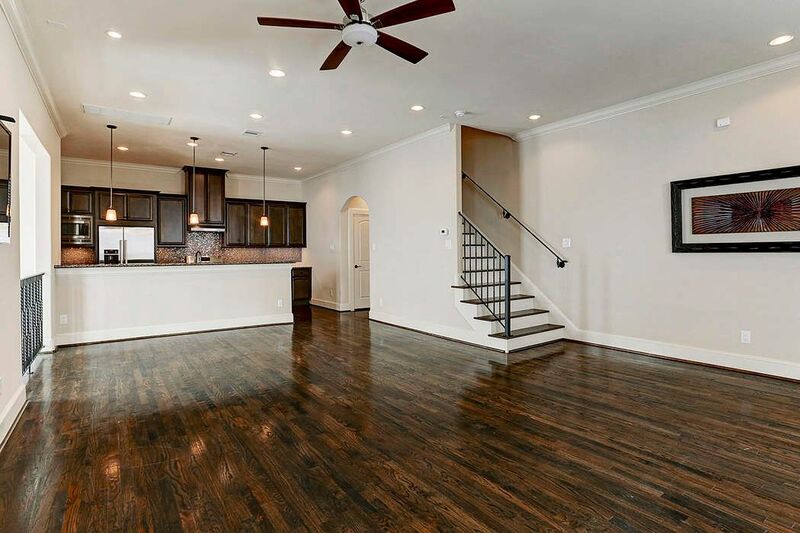 This home truly offers the walkability and lifestyle to fit all ages. 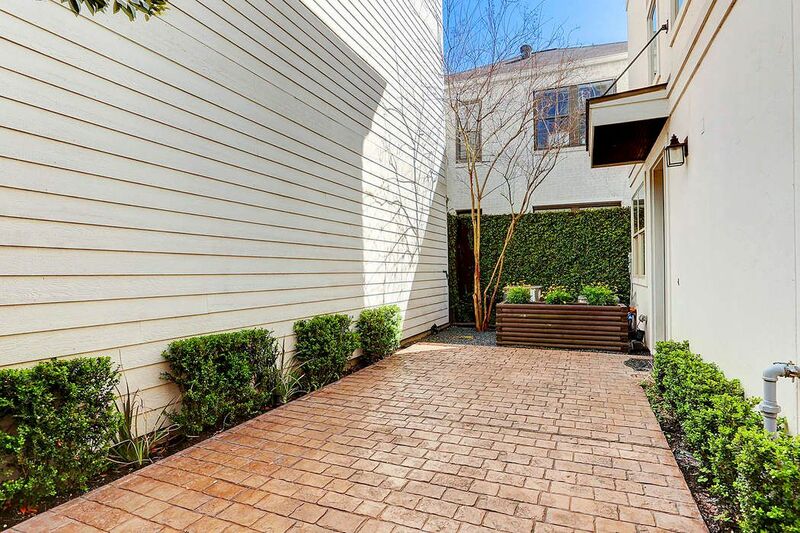 Situated on a lovely quiet street and tucked into an enclave of six homes, this is one you must see for yourself.